Honda's automotive-style automatic ATV transmission draws power through hydraulic clutches and a torque converter to drive three forward gears and reverse. 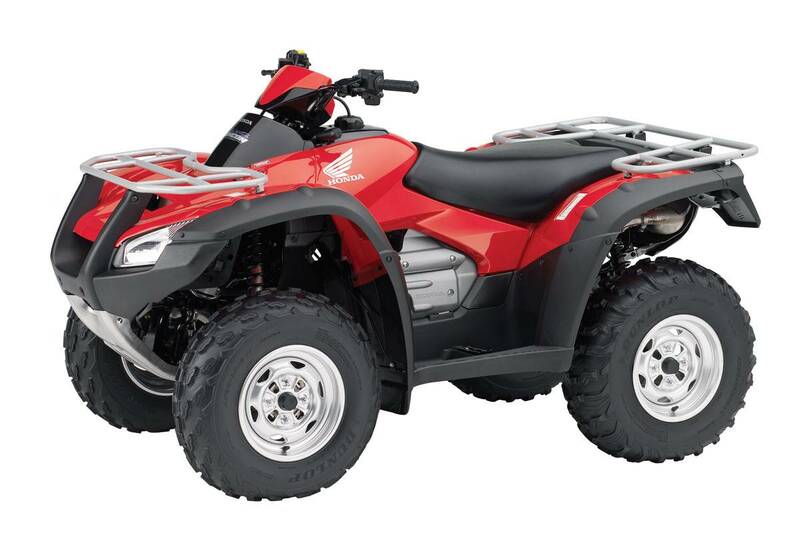 The TRX680FA features Honda's fully independent ATV rear suspension for comfortable cruising over the toughest terrain. 40mm fuel injection system for consistent performance at high altitude, improved cold weather starting, improved fuel consumption and increased power. Dual front disc brakes feature callipers with patented built-in scraper for improved braking performance in all conditions. Brake pads feature thick, long-wear material with improved mud durability, feel and control. Pads feature internal scraper that give audible warning when pad life is low. Stainless steel exhaust system provides superior corrosion resistance and minimises noise levels. A rugged steel perimeter Washable air filter for easy maintenance and consistent performance. Extensive weight-saving measures include the use of aluminium for the following components: forged front upper control arms, rear upper and lower control arms, rear knuckles, front and rear wheels. SUV styling features flowing fenders with integrated headlights and taillights. No belts. Liquid-cooled overhead-valve single-cylinder fuel injected 675cc 4-stroke engine is mounted longitudinally in the frame, allowing direct driveshaft alignment to front and rear wheels for improved drivetrain efficiency. Snorkel-type air intake system is specially designed for water crossings. Electric Shift Program (ESP®) allows the rider to manually select gears by simply pressing two push-buttons mounted on the left handlebar. Includes a low-fuel warning light.